Learn the results of our 2016 Board of Directors elections. The bylaws amendments were approved. The Mountaineers has been a volunteer-led organization for 110-years, and we depends on non-employee initiative and leadership. We are grateful for the service that all board members and branch leadership provide and are humbled by how much they devote to our mission. Learn about our latest additions to the Board of Directors. The Nominating Committee and the Board of Directors presented these candidates to our membership at large for elections in October 2016. Each of these candidates is eager to serve The Mountaineers, and possesses the professional skills and personal commitment needed to further The Mountaineers' mission. There were also amendments to the organization-wide bylaws, which were approved by the vote. The updates, in sum, were changes to reflect the 1) renaming of president-elect to vice president; 2) establishment of a new director/officer position of vice president of branches; 3) renaming of the Executive Director to CEO; 4) anticipated dissolution of the nominating committee; and 5) establishment of the governance committee. The amendments were presented and then endorsed to the board at the May 2016 meeting of the board. The new members possess the professional skills and personal commitment needed to further our mission: To enrich the community by helping people explore, conserve, learn about and enjoy the lands and waters of the Pacific Northwest and beyond. 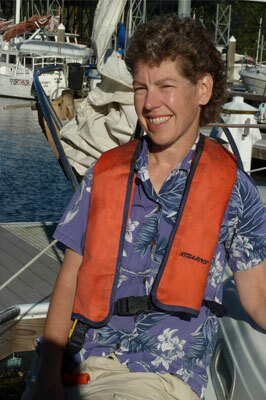 Evy originally joined The Mountaineers in order to take the Sailing Course, after moving here from Wisconsin. She served on the Board of Directors from 2014-2016 as the Secretary, from 2011-2013 as the Everett Director, and currently serves as a Director at Large. She also volunteers with the Governance Committee, Mountaineer magazine, and Advisory Council. 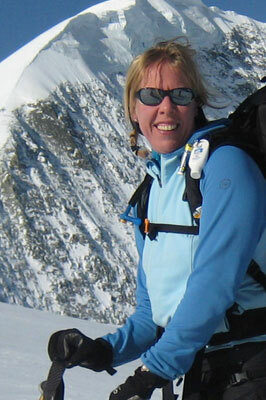 As an active member of the Everett Branch, she has served on the Everett Branch’s Executive Committee, Climbing Committee, Basic Climbing Committee, and Intermediate Climbing Committee, and has instructed Leading on Rock, Basic Climbing, Instructor Review, Sport Climbing, MOFA, Nordic Skiing, and Scrambling courses. With a BS degree in Electrical Engineering from Michigan Technological University, Evy spent 23 years in the telecommunications industry, and is now the Product Certification Manager at Beanfields PBC. She’s a member of the Everett Sail and Power Squadron and the Upper Edmonds Book and Cake Society. Her passions include sailing with her husband and their dog, cross-country skiing, pumpkin carving and reading Mountaineers books. "I believe that my professional background, my own enjoyment of the outdoors, my appreciation for the volunteers that have helped me, and my community all give me the right background to move the organization forward in the best possible manner. " Martina is a graduate from Princeton University and received her MBA from Harvard Business School. She brings over 10 years of retail experience in product management and strategy at Amazon.com, Starbucks Coffee Company, and The Parthenon Group. Martina has shared her passion for the outdoors by volunteering with the Peace Corps, Youth Enrichment Services (Boston), and is a past co-chair of the Sierra Club’s Seattle Inner City Outings. Martina and her husband, Mike, love to explore the outdoors with their daughter, and are avid hikers, bicyclists, sailors and skiers. Freedom of the Hills, 2nd Edition, from his folks in 1967 — followed by decades of good intentions — Steve finally joined The Mountaineers in 2010. A Seattle native, Steve gained a love for our wild spaces from Scouting and his family of hikers and skiers. Steve just completed a rewrite of two chapters for the upcoming Freedom, 9th. He was also a contributor to the Mountaineers' new Crevasse Rescue Pocket Guide: A Field Reference. 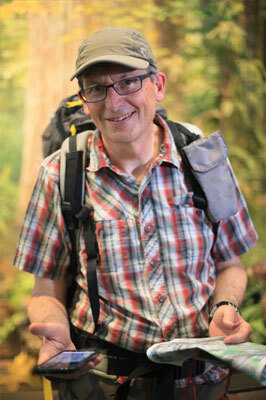 Since 2011, Steve has been an instructor for Scrambling, Climbing, Wilderness Navigation, and GPS courses. He is the Co-Chair of the Intense Basic Alpine Climbing course, is an intermediate climbing student, and active with the Navigation, Alpine Scrambles, and Climbing Committees. This summer, Steve completed the second leg of the cross-country "Sierra High Route," first publicized in The Mountaineers title of the same name. Steve is a CPA and a partner with Tatum, a national consulting firm of CFOs. He served on the finance committee from 2010-16, and was Board Treasurer from 2012-2016. John has been on the Board since 2009, including a term as Secretary 2012-14 and was The Mountaineers Leader of the Year for 2010. 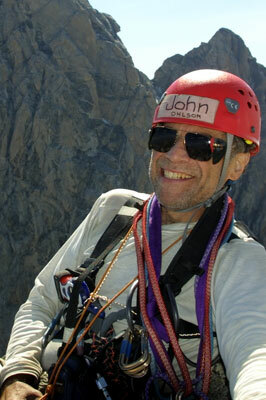 After gaining Basic Climbing Equivalency, he completed the Intermediate Climbing Course in one year, and has been a Seattle Climb Leader and Climb Committee member since 2001. 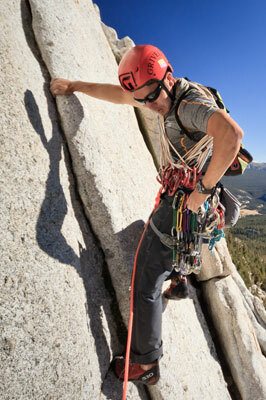 He co-founded the 9-day Intense Basic Climbing course with Gene Yore in 2013. He received the Mountaineers Seattle Branch Service Award in 2013 and was a Seattle Climb Volunteer of the year for 3 years. He recently authored the Safety chapter of Freedom of the Hills, Edition 8, and is a section editor for the in-process Edition 9. Previously he was Chair of the Magnuson Building Committee where he successfully renegotiated our lease with the City of Seattle to obtain 10 more years of free rent due to our renovation cost. He also was the Seattle Branch Safety Officer. 20 years as a VP and Chief Technical Officer in satellite communications, followed by two years as Adjunct Professor at the University of Washington, now retired. He belongs to the Sierra Club and American Alpine Club. Steven is a technology product marketing executive and software architect focusing on developer technologies and strategy initiatives with major technology firms. In 2009 he led Microsoft’s global launch of the company’s cloud computing efforts, Azure, and has since worked with top firms on their cloud, mobile, and IOT business strategy and marketing efforts. Most recently he was Head of Product of Marketing for Xamarin, a mobile startup acquired by Microsoft in 2016. Steven is active with the Mountaineers and climbing programs. A graduate of the Basic Climbing program in 2009, he became a climb leader in 2011 - mentoring and instructing climbers in the basic, intermediate and sport climbing classes. Steven has been a member of the Advisory Council since 2011. In addition to being an avid climber, he is also a hiker, backcountry skier, amateur photographer, and is now discovering aerial drone imagery. He keeps a blog at http://blog.stevenyi.com. Steven resides in Bellevue with his wife of 16 years and two rescue dogs.